English B2 Speaking. Expressing Opinion. 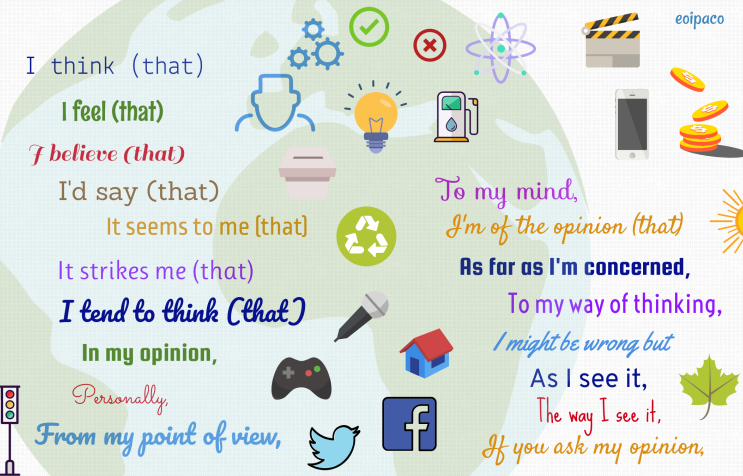 18 different ways to express your points of view in English other than "I think". Intermediate and upper-intermediate students are supposed to use varied structures when speaking and writing. This worksheet can be used in discussions and debates. 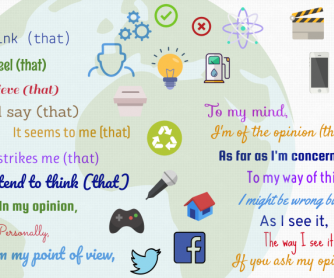 Students should learn and use them in speaking or writing activities.